Seen the news lately? Dumaguete City — known as the University Town and the “City of Gentle People”— was named 2018’s top retirement spot in the Philippines for foreigners. One of the most compelling reasons why foreigners and expats have Dumaguete as their top pick over other Philippine cities is its very warm and friendly locals, hence the moniker “City of Gentle People”. Besides the people, foreigners note that the peace and order, cost of living, and the array of quality leisure and entertainment venues in and around the city are what helped the city take the top spot for the best retirement location in the country. Being the University Town, Dumaguete is home to numerous institutions of higher learning that give life to and fuel the intellectual and cultural growth of the city. Dumaguete’s colleges and universities include Silliman University, the first American educational institution established in the Philippines and in Asia, St. Paul University – Dumaguete, Foundation University, and Negros Oriental State University. These institutions have produced world-class alumni who continue to excel in various fields and endeavours not only in the country but the world over. But Dumaguete is more than just that. If you are considering it for your retirement or even for a visit, here are some of the top things to do in and outside the city. Get to the spots outside the city via a Ceres bus, jeepney, multi-cab, or a motorbike. Dumaguete can be explored by a pedicab, the city’s main mode of transportation. The kalesa (horse-drawn calash) can also be seen around, but supporting this is highly discouraged (let those horses rest, please!). If you are up for a more exciting tour, explore the city on your own two feet. Wander around and take some snaps at the 1901-built Silliman University located along Hibbard Avenue. Take a few minutes of walk to the south and offer some prayer at the St. Catherine of Alexandria Cathedral, the “Oldest Stone Church in Negros”. Built in 1811, the #Dumaguete Belfry is the oldest bell tower in the region. Light up some coloured candles at the Campanario De Dumaguete (Dumaguete Bell Tower) which was built in the early 1800s. It is located just a stone’s throw away from the cathedral. Then, situated across, explore the centuries-old trees and plants at the Quezon Park. You can also head to the Rizal Boulevard to catch some fresh air. Have a sit and listen to the relaxing sound of the ocean waves. The ambience is surely relaxing. Should your time permit, discover several artefacts and historical structures built during the Spanish era that still stand in the city. They’re definitely Instagram-worthy. Roast and grilled chicken, rice cakes, desserts, and snacks? The city has them all. Start your day right at ‘Painitan’ at the city’s public market with budbud (made of sticky rice and wrapped in banana leaves) and puto (made of sticky rice cooked with a bit of coconut milk) paired with sikwate (hot choco). Grab a fried ice cream as a refreshment at Panda Ice Cream along Silliman Avenue. And when it’s lunchtime, Joe’s Chicken Inato, Sr Pedro’s, and Lantaw are your top options. How about seafood, you ask? Lab-as serves the best and freshest ones! Of course, your visit will not be complete without a taste of the famous sans rival and silvanas at Sans Rival Cakes & Pastries. You can get them at either its Rizal Boulevard or Robinsons Mall branch. Further, enjoy balut (duck egg) and tempura at night at the boulevard. 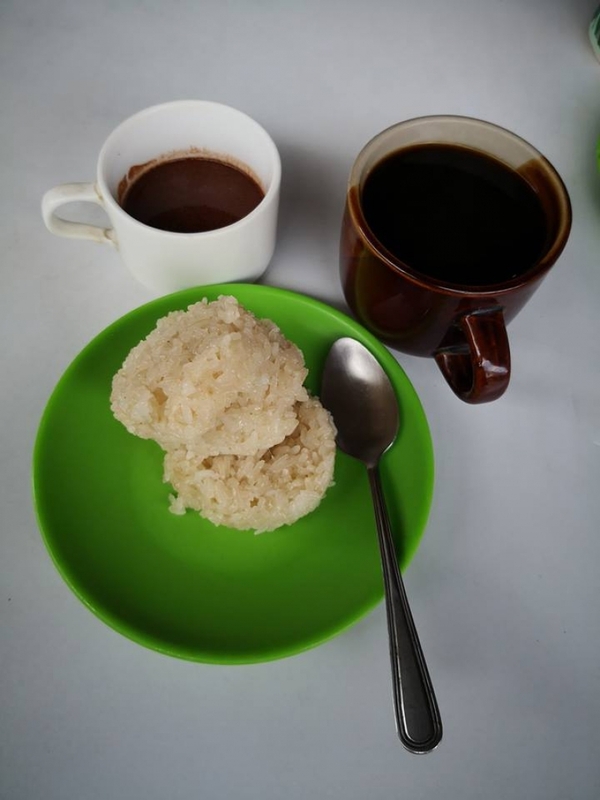 The city’s neighbouring places also boast of some famous delicacies, including the baye-baye (made from roasted glutinous rice, strips of young coconut, and sugar) in Bayawan and the budbud in Tanjay. The nightlife in the city is lively. Watch Willfreedo and other local bands perform live at several restaurants, including Hayahay Treehouse Bar and Viewdeck, and Honeycomb. Dance with the party music played at Why Not?, the disco icon in the city, and at other newly-opened ones, including Prime Club and Tiki Bar. If you want to sing your heart out, book a room at Whatever KTV or TopHits and turn the volume to the max. No one’s going to hear you anyway! After a night of drinking moderately, relax and have a body massage at the city’s famous spas and wellness centres including the Nature Spa, and Hazel’s Massage and Nail Spa. The island of Negros features numerous tourist attractions that can only be accessed from Dumaguete or Bacolod. Most tourists prefer the former due to its close proximity to these attractions. Go waterfall chasing as the island houses some stunning ones. The Casaroro Falls and Pulangbato Falls in Valencia are most accessible as these are located just nine kilometres west of the city. Along the road to Pulangbato Falls, make sure to take a snap of a spot where emissions of sulfur occur. The lighthouse of Tierra Alta, located within the area, is also a must-visit. Travel for about three hours to the city of Bayawan and explore the stunning Niludhan Falls, a 25-metre wide curtain waterfall. If you have enough time, the famous Kawasan Falls and Dao Falls in Cebu, and the Cambugahay Falls in Siquijor, where the rope swing is a must-try, are just a ferry ride away. Explore the Twin Lakes of Balinsasayao and Danao in Sibulan, Lake Balanan in Siaton, and Mabinay Spring in Mabinay on a kayak for a once-in-a-lifetime experience. For some adrenaline-pumping adventures, trek to Puncak Tanawan in Sibulan and Mount Talinis, the second highest mountain in Negros Island after Mount Kanlaon. The views at its summits are definitely worth the sweat. Want a more challenging, extreme one? Head to the island of Cebu and go canyoneering at the Kanlaob River Alegria and Kawasan Falls in Badian. Make sure to put safety gear on! If you just want to unwind, order a cup of coffee while enjoying the magnificent views of the Tañon Strait and Cebu island at Alimyon Kapehan in San Jose, or take a dip at the Forest Camp’s refreshing pool with views of hills and mountains in Valencia. Additionally, put a jacket on and experience a feel of Baguio and New Zealand at Sitio Hunop in San Isidro, Pamplona. Travel for about 10 to 20 minutes to the municipality of Dauin and go diving at its well-maintained sanctuaries. Go farther south and board a boat to Apo Island. Once you get there, snorkel and swim with the sea turtles. Make sure to take a selfie, these lovely creatures are so game for it. You can also drive for about an hour to the city of Bais and roam around the Bais Bay and Tañon Strait to catch the lively dolphins perform acrobatic leaps. Then, journey to Oslob in Cebu to swim with the giant whale sharks. While they are harmless, make sure to keep a four-metre distance from them. Furthermore, take a ferry to Siquijor and go diving at its marine sanctuaries and capture snaps of countless sea creatures. The island is also home to famous beach destinations. Go sunbathing under the radar spots in the nearby towns of Bacong and Dauin. These offer black sand beaches, making it the unusual options. Head to Turtle Island off Siit Bay in Siaton, dubbed by locals as their mini-Boracay, for a not-so-fine but white sand. Take a beach stroll at Manjuyod’s white sandbar for a Maldives-like experience. Why Maldives? 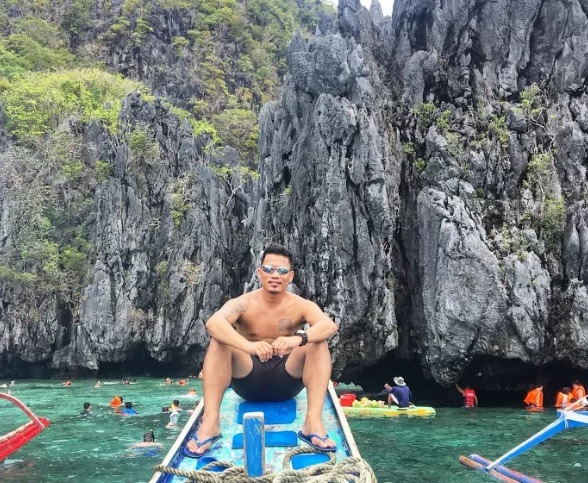 Well, Christian LeBlanc, a popular Canadian travel vlogger, named it as the “Maldives of the Philippines.” And since the world-famous island of Boracay won’t be open again until October, Siquijor’s Paliton Beach, the town’s mini Boracay is surely worth the ferry ride from Dumaguete. Each city and municipality on the island of Negros celebrates a huge festival. Every year, locals from these cities and municipalities gather at the city’s Buglasan Festival (also known as “The Festivals of Festivals”) to showcase their respective festivals. Held every October, the week-long festival is your perfect chance to dance with the locals particularly during the street dancing competition. Feel free to dance like there’s no tomorrow. No one’s going to judge you anyway! Too shy? No problem! Watching the performances live is truly memorable. Make sure to capture those synchronised dance moves. Booths are also set up in one area, showcasing the respective tourist spots, food and more of the different cities and municipalities. After your tiring but memorable tours, doze at some of the top hotels in the city. These include Hotel Essencia, Bethel Guest House, and Hotel Nicanor. For some beach vibe, nearby beach resorts — like Atmosphere Resorts & Spa, Cana Retreat, Bahura Beach Resort, and Atlantis Dive Resort Dumaguete — are worth checking out. For a more secluded, private stay, Antulang Beach Resort in Siaton is highly recommended. And oh, to get to Dumaguete, book a flight via local airlines. Cebu Pacific and Philippine Airlines have several flights daily from Manila. If you prefer land travel, bus companies from Cebu and Bacolod also offer daily trips. The Ceres bus company provides daily trips from Manila to Dumaguete, too. There you go! Make sure to bookmark this if you are planning to retire or even visit Dumaguete so you can make the most of your stay.